96 sheets of lined paper with bright blue edges and matching elastic closure. 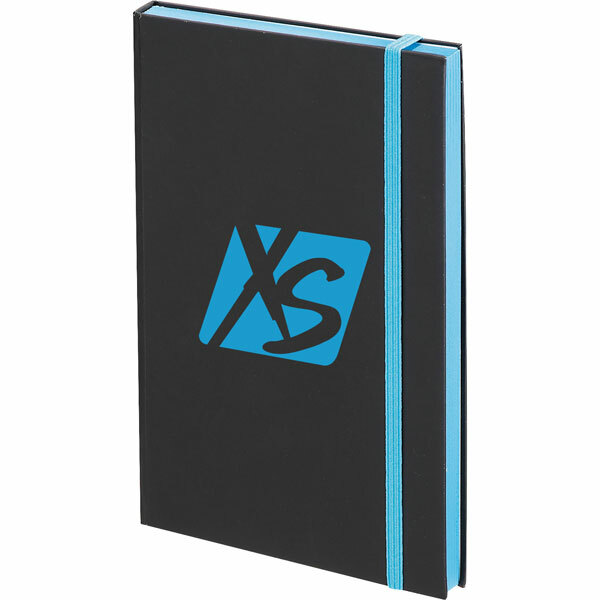 Soft matte black cover highlights printed XS logo. Dimensions: 8.25" x 0.5" x 5.5"